We've had a lot of time to contemplate our travel health and safety these past couple of months as Dave recuperates from fracturing two vertebrae on an Amazon Cruise in Peru. 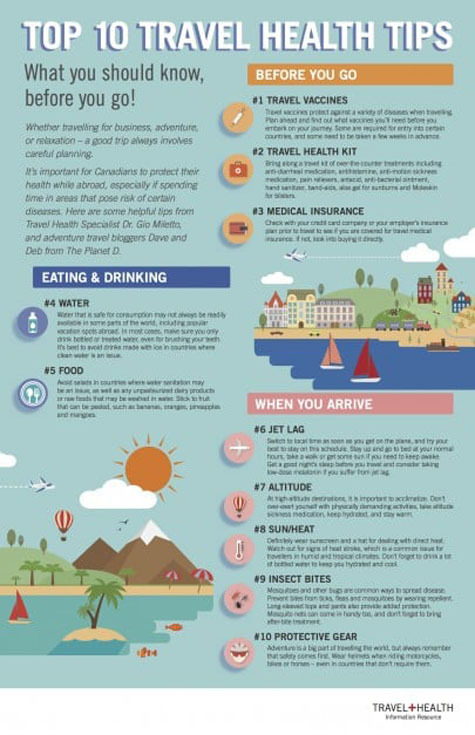 We've made trips to the hospital on 5 different continents and realized that we've learned a lot so we thought it was time to share our healthy travel tips when traveling abroad. After a decade on the road, we've had our share of illnesses, but we've always been prepared and kept emergencies to a minimum by following these travel tips to stay healthy when traveling. It's important to stay healthy when traveling, but travel can also keep you healthy and happy to. When traveling to a foreign country, it's important to do your research and know the risks before you go. What contagious diseases are easily transmitted through mosquitoes, water, or unsanitary conditions? What type of climate will you be in? Will there be a risk of heat stroke or sunburn? 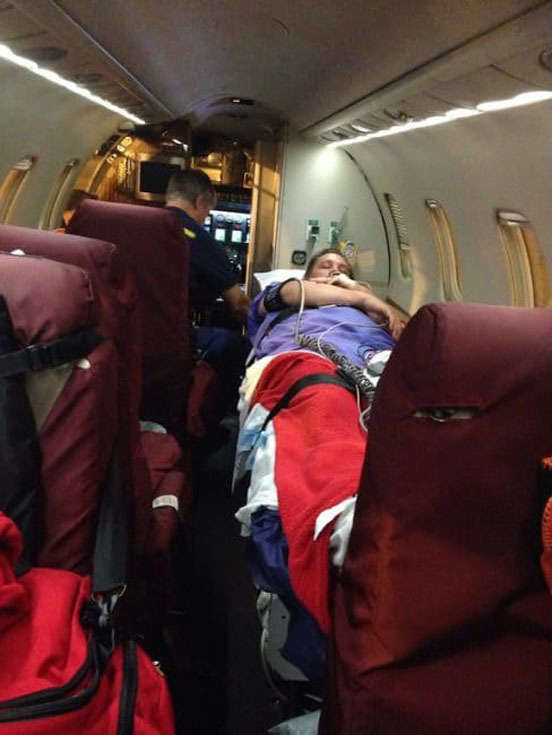 Will hypothermia be a problem if you are traveling to a cold. Are there poisonous animals to keep an eye out for and if you come into contact with them, how do you safeguard yourself? 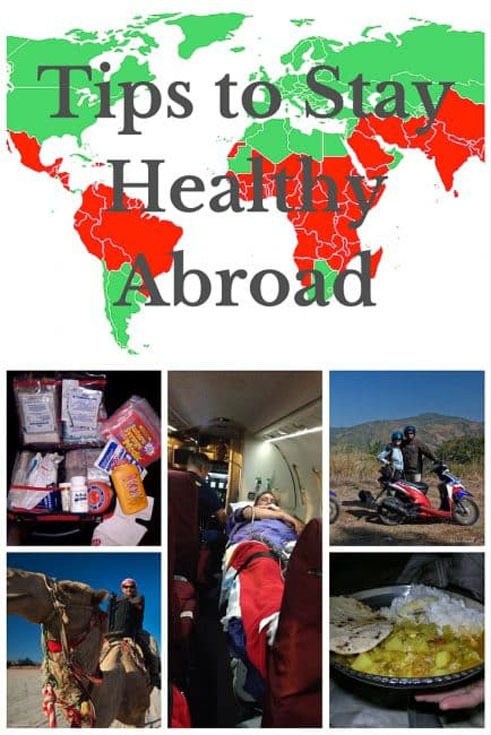 There are many questions to ask yourself about travel health before traveling. You can check warnings and advisories with your country's government website, visit the tourism board of the country you are visiting and check out blogs or even social media for up to date information. Asking your favourite travel blogger a question about the country you are visiting on Twitter or Facebook, generally gets a response. “Keep your immune system boosted with healthy food. We like to carry supplements in our backpacks for times when we are traveling fast and hard. Healthy snacks are also important. 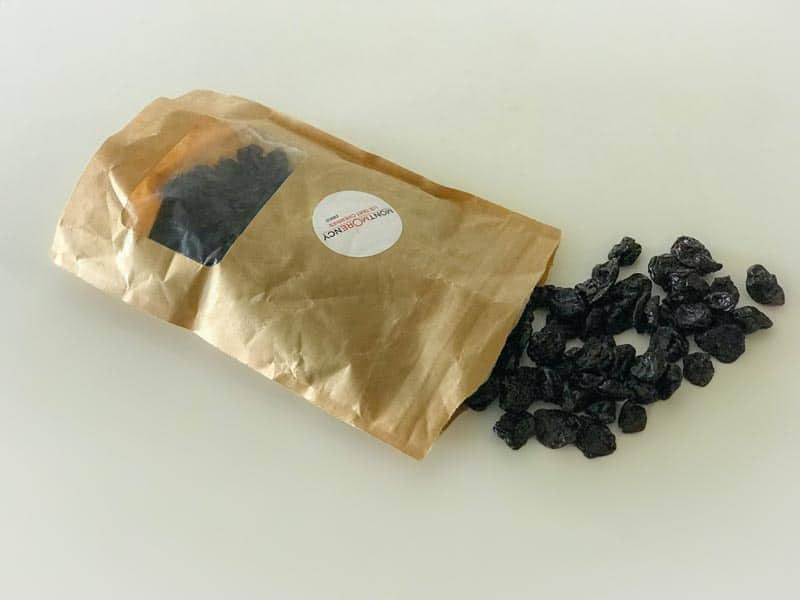 Montmorency Dried Cherries are a natural source of melatonin for jet lag promoting a healthy sleep. When your body has proper rest, it can fight sickness and disease better. Cherries also help with inflammation, easing muscle pain, and recovery and they contain natural antioxidants. Boosting your immune system is key and staying healthy will help fight the times when you do accidentally drink the water or questionable food. The best way to maintain a healthy travel lifestyle when heading abroad is to know what vaccines will protect you from a disease. 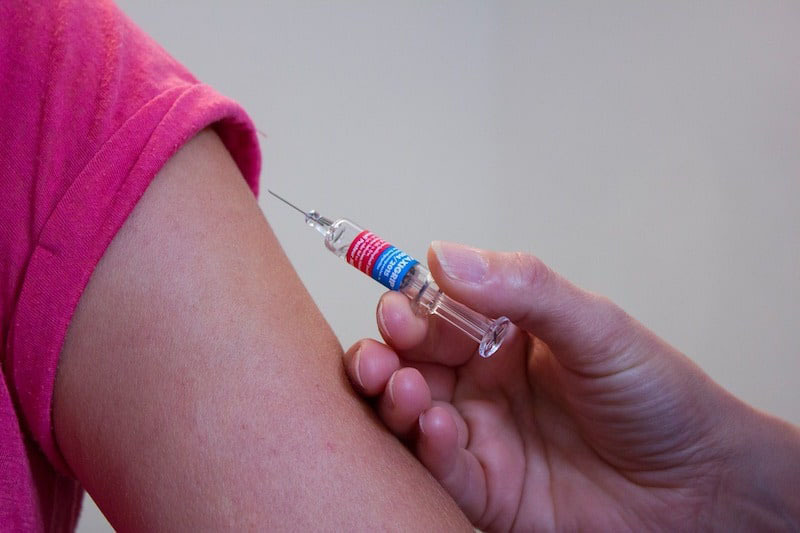 Hepatitis A, Hepatitis B, Typhoid Fever, Yellow Fever, Cholera and Travellers’ Diarrhea are all the top vaccines for any travel to South America or Asia. Can you believe you can get a vaccine for travellers' Diarrhea now? I wish we had that on hand when Dave ate his bad goat in India a few years ago. 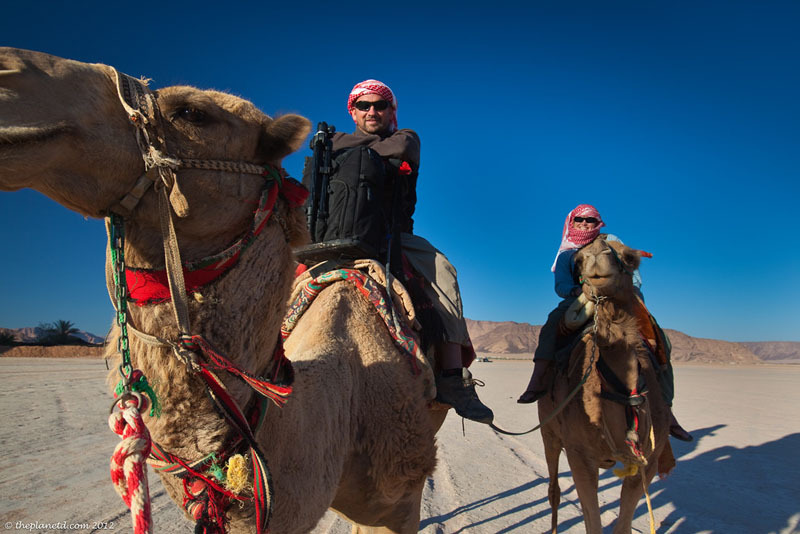 It was after a surreal experience in the desert where a bunch of surgeons from Delhi joined us on a camel safari. 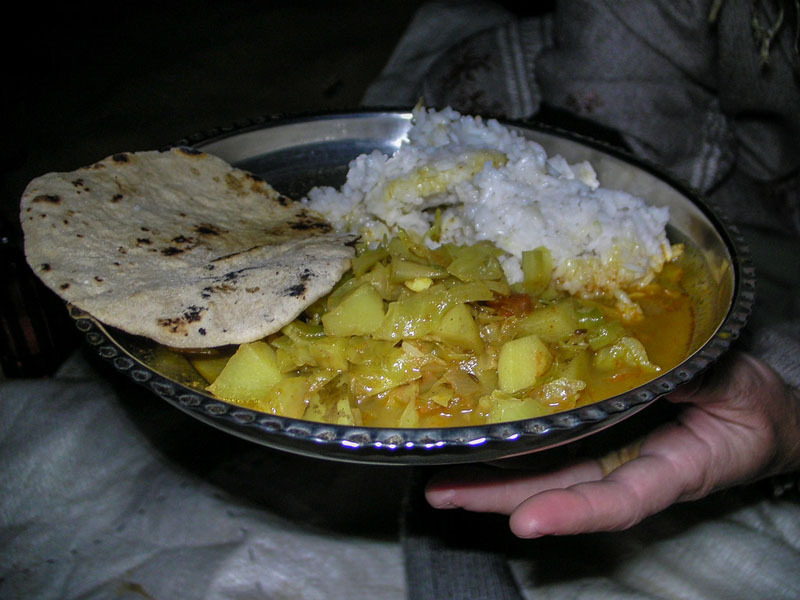 When the sun went down, the servants came out with plates of food for us to eat. Dave ate it, but I graciously declined. That goat had been sitting outside in the desert all night. Predictably Dave was violently ill for the next 5 days. Luckily we had a prescription of Ciprofloxacin (given to us by the doctor we visited before leaving Canada) with us so he didn't have to be hospitalized. If you visit a travel medical clinic before your trip, your doctor will be able to give you the proper injections and prescribe the medicine that you will need in case of an emergency. Malaria medication, antibiotics and medicated creams are very important to have on hand. Make sure to visit a couple of months in advance, some vaccines require multiple injections and you will have to go back more than once. 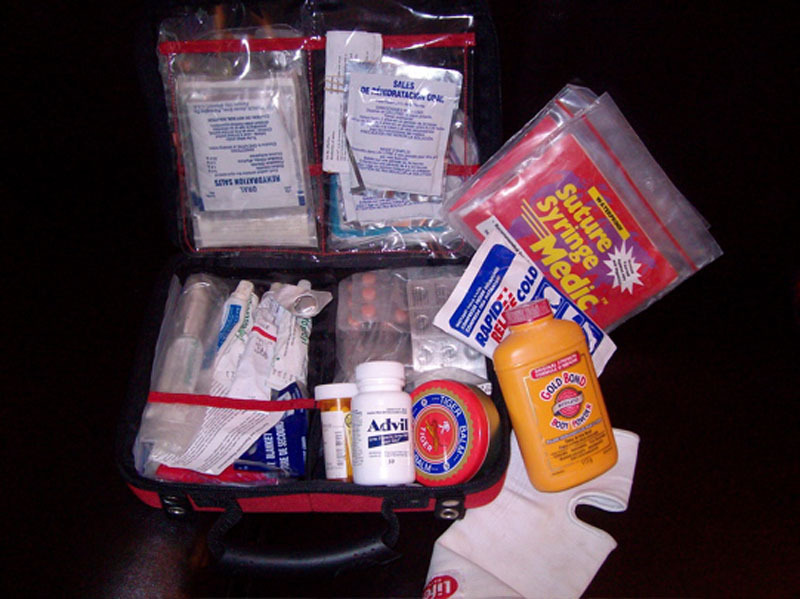 Speaking of medicines, we always carry a first aid kit for general emergencies. 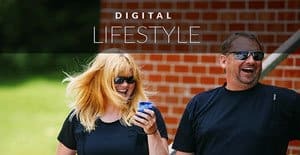 It's your front of the line tool for maintaining a healthy travel lifestyle. Dave sprained his ankle really bad in Ireland last October. Ibuprophen and a good tensor bandage helped him out. Don't go crazy and carry everything for every situation with you, but do have staple items like anti-diarrheal medication, antihistamine, anti-motion sickness medication, pain relievers, laxative, antacid, anti-bacterial ointment, hand sanitizer, Band-aids, aloe gel for sunburns, Moleskin for blisters, and oral rehydration salts to help recover from vomiting or dehydration. We certainly aren't fans of being ill on the road, so we work hard at avoiding sickness and injury by using preventative measures. 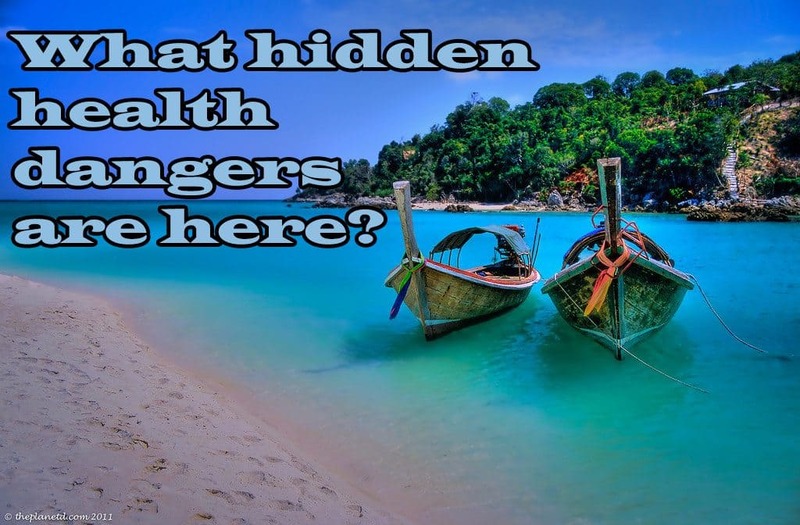 When it comes to Dengue Fever and Malaria (mosquito born diseases) we cover up. Even in the hot jungle we wear lightweight long sleeve shirts and pants. Often times insect repellent doesn't work, but being covered from head to toe makes all the difference. You can also carry a mosquito net of your own, they are portable and easy to use. 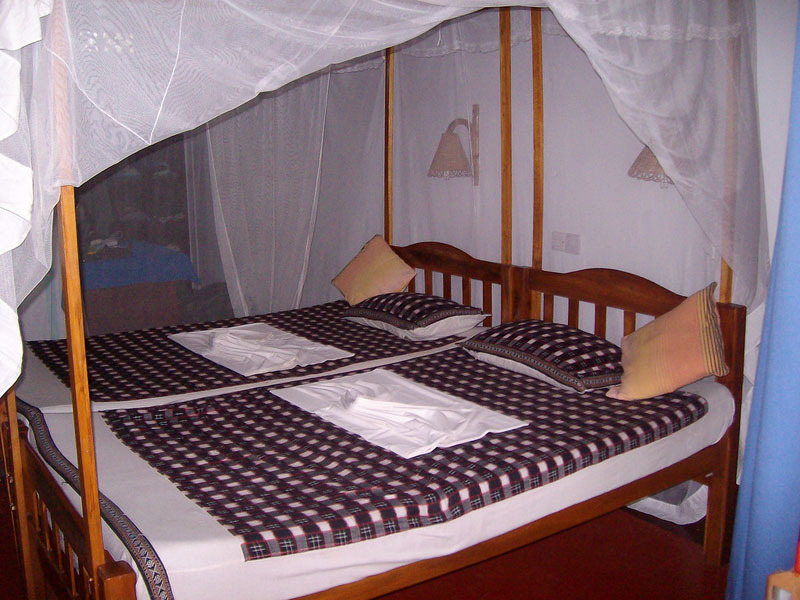 Many lodges offer mosquito nets to use, but we find they always have holes in them. Bring your own and you'll have a mosquito free night. On another note, it is still advisable to bring and use insect repellant, just don't completely rely on it. Staying covered up helps a lot. We've even used bug jackets with a mesh face in extreme situations. When out in the hot sun, we wear a hat and cover up under lightweight clothing. I prefer long shirts and sarongs more than slathering on sunscreen every hour. Be careful not to stay out too long. So many people land in the tropics directly from winter weather and sit outside for hours on end ruining their vacation. Sit under an umbrella or cover up. Fabrics these days are so light and comfortable it feels good being in the sun with long sleeves on. Also, make sure to stay hydrated. When it's hot, you lose a lot of water from sweat and you may not notice you are dehydrated. This can cause heat stroke and be very serious. On a side note, be careful not to over-hydrate. While cycling through the Sudan, I sweat faster than I could drink water and the more I drank, the more I flushed the nutrients out of my system. I developed symptoms of hypo-hydration causing my entire body to cramp up, If you sweat a lot, drink liquids containing electrolytes like Gatorade. This will keep you hydrated while giving your system the nutrients it needs. And on the note of dehydration be careful when it comes to water. We all get a little lazy when traveling and start asking for ice in our drinks. Don't do it unless you are completely sure. Dave was so violently ill in Vietnam after going gaga for their ice tea that I thought I'd have to rush him to the hospital. He was stuck in a bungalow glued to the toilet for 5-days in Mui Né, A beautiful beach town where we should have been enjoying fun in the sand and surf. Now if he would have drank hot tea made from water that has been boiled, he would have been ok. Hot drinks are a good choice. Or go for sealed bottled drinks and cans. Also instead of constantly using plastic bottles and being wasteful, bring a portable water filtration system with you. They've come a long way baby, and you can filter any water from lakes and rivers to city water faucets. It helps you feel better about the environment while taking care of yourself. Purify your Water.When in situations where you can't filter water or buy bottled water, purification tablets work. We drank purified water while cycling through Africa from Cairo to Cape Town. We purified our water all the way up to Everest Base Camp and the summit of Kilimanjaro. They work well and if you let it sit long enough, you don't even taste the chemical process. If you do taste it, a little-powdered juice will take make it taste great. And that brings us to food. We've talked about illnesses and vomiting and sometimes it is unavoidable. You are going to get sick. Dave had the worst food poisoning after eating a dinner at a very expensive hotel in Cairo and I was sick all the way home from a previous trip to Peru after eating a burger at a popular American food chain. It was our last day in the country and I said, “let's eat at Tony Roma's.” It was across the street from our hotel and overlooked the sea, what a nice setting. Well, I paid for it and had to directly to the hospital after landing in Canada because I couldn't stop throwing up for two days, (including my time on the plane.) Hey, I just realized, Dave and I don't have the best luck in Peru! Anyway, back to how to maintain a healthy travel routine when eating abroad…. We always say, when in doubt, if it isn't boiled, baked or peeled don't eat it. Salads can be oh so delicious in hot climates, but unwashed lettuce or lettuce washed in contaminated water will make you sick. Stick to fruit that can be peeled like bananas, oranges and mangos and if you choose to eat street food, make sure it is cooked properly. DnD Tip: When choosing a place to eat, look for eateries that are packed with local people. Chances are good that the food will be fresh. Because of the high turnover, they'll be constantly cooking that food, and because the locals are eating there, you can bet it's authentic and affordable. Everyone is always asking us about how we combat jet lag. When you only have a week or two for your vacation, the last thing you want to feel is exhausted for 3 or 4 days of your trip! Jet lag is a tough one as it's almost impossible to beat completely. But there are ways to ease into the time zone that you are flying to. We have little tricks that we do when we fly. Switch to local time on your phone on the plane. Do this before you even arrive at your destination then you'll already be thinking in the time you are going to. Try to stay up as late as you can. Don't be tempted to go to sleep at 5:00 pm. If we arrive early in the day we may have a nap but only for an hour or so. Just enough so we don't feel like a train wreck. We then force ourselves to get up and stay up until a reasonable hour at bed time. Go outside, feel the fresh air and sunlight and walk around. You'll feel better, honestly. Avoid alcohol – It used to be that before every trip we'd go to the airport and enjoy a couple of beers or glasses of wine before flying. We thought it would help us sleep. But we always felt awful halfway through the flight and when we arrived at our destination. Now we rarely drink on travel days. Instead we drink plenty of water or juice to stay hydrated. We even avoid coffee, tea, and soft drinks. I rarely feel like a train wreck when traveling anymore. Sleep on the flight. Both Dave and I are lucky, we sleep like babies on nearly every flight. I can contort up into the tiniest of seats and fall asleep. 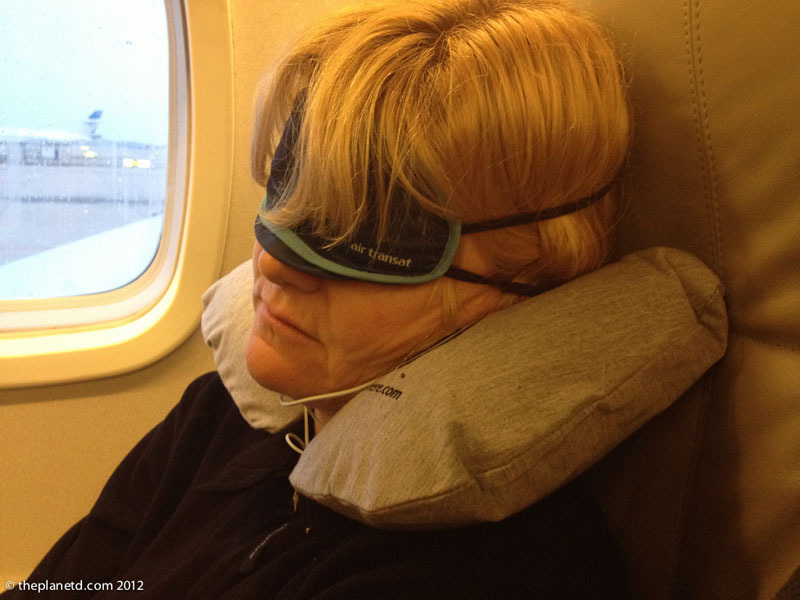 Not everyone can do that so try and make it more comfortable and easier to fall asleep by bringing along a face mask, neck pillow and ear plugs or noise reducing head phones. Pack a cozy sweater and settle in for a sleep. It does wonders for when you arrive at your destination. I cannot tell you how many times we've watched tourist be stupid during their travels. Why do people suddenly think they are invincible just because they are on vacation? Act on vacation as you would at home. When renting motorcycles or bicycles, wear helmets. It may be hot in your destination, but if you are riding a motorcycle, at least wear jeans and a long sleeve thick shirt. Road burn can be serious if you wipe out. Don't over drink alcohol and party to the wee hours of the morning. That's when people get themselves in trouble. And please wear your seatbelt. How many people have seen a pack of tourists driving around in an open top jeep standing up and laughing and thinking that nothing will happen to them? Wear the usual protective gear that you always would and keep a level head on your shoulders. Even if you are not a die-hard adventurer, you can easily find yourself in high altitude destinations regularly. Places like Machu Picchu and many ski resorts are at high elevations. Often you'll fly directly into them from sea level. You are going to feel the effects. If you are going to be at altitude, ask your doctor to prescribe altitude sickness medication like Diamox. It helps to ease the symptoms. It worked wonders for us while climbing up Mount Kilimanjaro and even landing in Cusco, Peru before going to Machu Picchu. In high-altitude destinations, it is important to acclimatize and take your time. Don’t over-exert, keep hydrated and stay warm. We often find that we lose our appetite when we're at altitude but for some reason, we can eat chocolate. We always have some chocolate on hand. If you find yourself really suffering, go down to a lower elevation for a day or two. 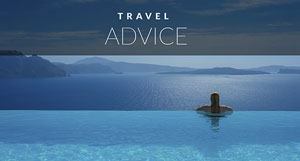 As more people are travelling the world, it's important to stay informed and be prepared. Travel is a lot of fun and you should never worry or be afraid to leave home, but if you follow these tips for healthy travel, you will feel a lot more comfortable and ready to face any situation. 22 Responses to "Top 10 Tips for Healthy Travel"
Thank you for sharing such wonderful information. I love to read it and I will follow all the tips. Useful tips for everyone! Thanks for your best advises and for such interesting post! Good, solid advice that I try to follow! I don’t usually travel to places with intense health issues but I do always want to stay in good health. My packing list also includes mosquito repellent, mosquito candles and a good tent/mosquito net. Food poisoning can happen anywhere and I usually pick certain restaurants and meals that seems the safest. I’ll try to get to know the cook (which is pretty easy at small places), find out which places people go to, and become a repeat customer. If possible, I’ll bring a stainless-steel pan and cook my own food, so I know how it was prepared and that everything was cooked well. But that has backfired at times – the only time I got food poisoning in Africa was from my own cooking haha! Great advise thanks i have malaria about 5 time in my life living in Africa i suggest you take the steps to not get sick trust me its hell having malaria … i also found some awesome travel tips on http://www.travelingrate.com if you guys wana check that out . thanks guys and safe travels . Great tips. 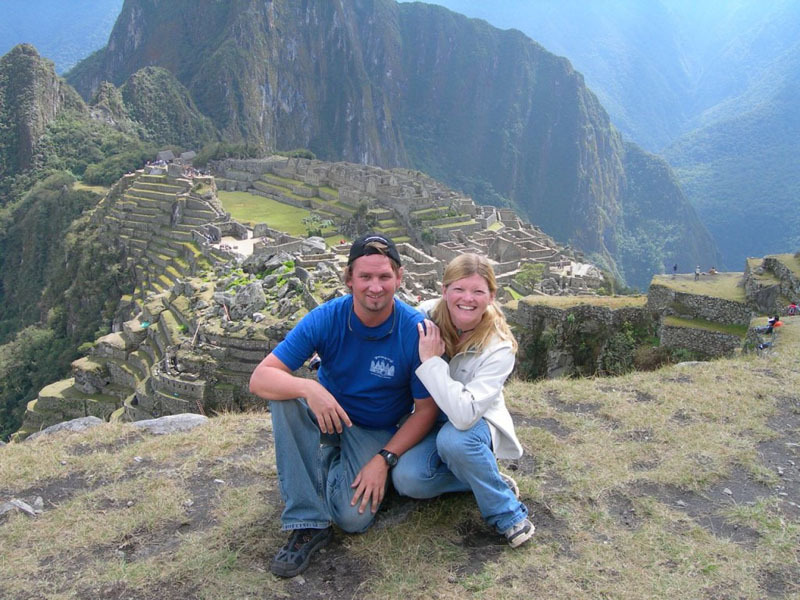 I’d like to get to Machu Picchu one day and didn’t even consider altitude sickness. Thanks for the post. 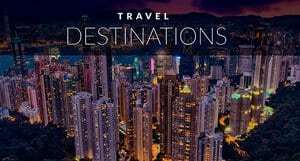 It is important to do some analys where we are goin while planning .thanks for sharing great tips on travel. Fantastic tips Dave and Deb. Sometimes travel is stressful but having an upbeat attitude is the key to overcoming this hard times. In regards to food, if someone is highly irratable consider going vegetarian for the trip. Great tip Alisha, thanks for sharing. You can never go wrong going vegetarian. Thank you Dave and Dab for your helpful list..on my last trip i had to suffer a lot becoz i forgot so many useful things which are mentioned in your post…but for my next time i will keep all your guidelines in mind..thank you again..
Hello, I’ve been planning a vacation since months and googled for the necessary things I should take on the trips. 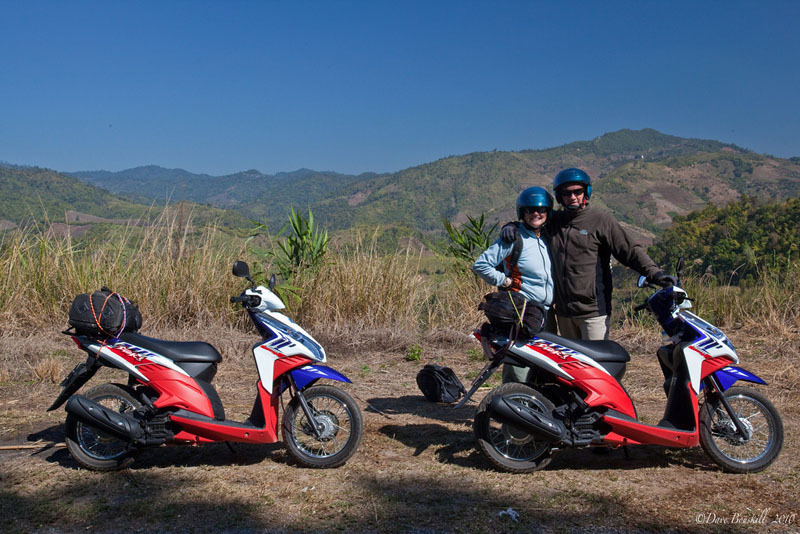 Dave and Deb, thanks a ton …this is one of the most helpful articles I have come across! There has been many a time when I have fallen sick during travelling… thanks to ur useful tips know how to take better care now! We usually forget many things to check and prepare before moving to a long journey or for any vacation trip. Nice post! I have not been sick/hospitalised in last couple years of travel. In regards to food, if someone is highly irratable consider going vegetarian for the trip. Defo agree with fruit that’s peelable, takes away a lot of the worry. Also drinking lots of tea is also great, I usually find some ginger when I first get to a country and make my own hot ginger tea frequently (in addition to my green tea supplies). Tea is a great way to help your immune system and is really good for you. 11. Sleep – Get as much sleep as you need, if that means you need to sleep until 10am dont fret about losing a couple hours of day light in the morn. Your body needs time to repair itself, even more so on the road. Wonderful and hats off to your research. Few things are really true in India. Mosquitoes and water problem. This information will help the tourists to get ready to fight from these problems. Very true for India. We loved our time there, but yes, we had to be vigilant. You are lucky that most of the country is hot and tropical, but yes, the mosquitoes are very important to watch out for. and yes, water is becoming a problem everywhere. 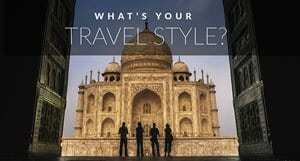 We are lucky as travelers that we have options, but so many people in India don’t have a choice. I saw in the Amazon that they are now using filtration systems that cost a fraction of the price of treatment plants and last for a month before the filter needs to be changed. They said something like, a family can have clean and purified water for Less than a dollar a month. If the technology is there, lets hope whoever owns it will make it available to everyone. Fantastic tips Dave and Deb. Sometimes travel is stressful but having an upbeat attitude is the key to overcoming this hard times. Thanks Stephen. Attitude is definitely key. And being prepared before you travel. Even though we’ve had some trials and tribulations on the road, we still love travel. Over a decade of travel and we’ve only come away with a few scrapes and breaks, I think we’re doing ok. These are great tips. It’s amazing what we go through on trips all in the name of travel. I’ve definitely gotten my share of “bugs” on the road, yet I still love it and wouldn’t trade my travels for anything. Like you said, it’s just important to be careful and vigilant with what you’re eating and doing and then be prepared for the worst when circumstances are beyond your control. Well said Laura. I’d never change anything for the world. We all get sick and have accidents at home too. It’s just important to take precautions, do your research and be prepared. Cheers! We usually forget many things to check and prepare before moving to a long journey or for any vacation trip. We must have such a checklist of preparation like this mentioned in the article, otherwise it’s quite obvious of facing unwanted difficulties. And during a vacation trip to far away from home, simple problem becomes a disastrous one. It’s really very important to do the research of our target destination while planning, prepare a checklist of necessary things to do and to be taken during the trip and follow accordingly. Such nice article for increasing awareness.